Viriginia Wolf | Shelf Elf: read, write, rave. A great picture book often leads me to a more intense emotional response than a great novel. I’m sure the illustrations have something to do with it, and the fact that you can take it all in in one sitting. At the same time, a great picture book is only the beginning of my response as a reader. It’s not like I read the last page and close it up and I’m finished. The story and the images slip into my head and change how I think and see the world. Of course, you don’t come across this kind of book every day, but when you do, you recognize it right away. 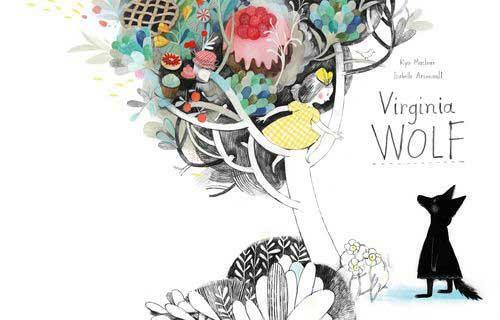 Virginia Wolf, by Kyo Maclear, illustrated by Isabelle Arsenault, is one of those rare books. Now that is one stylish trailer. Arsenault’s illustrations are wonderful. The way that they move from being muted and washed out at the beginning, when Vanessa is trying to understand her sister’s state, to almost completely black and white as Virginia becomes more and more wolfish, to the wild burst of colour at the end, shows a perfect understanding of the emotional rhythm of the text. There’s an article on Arsenault in Issue 14 of Uppercase Magazine which I enjoyed reading and you might want to check out. Virginia Wolf reminds me in its themes and its strangeness, and in its emotional force, of Shaun Tan’s sad but beautifully uplifting picture book, The Red Tree. Like Tan’s book, Virginia Wolf is fantastical and a little unsettling and sad and sweet all at once, which I suppose makes sense since it’s partly an exploration of what depression looks like through a child’s eyes. It’s the sort of reading experience that pulls you away from everything around you. It convinces me that Maclear and Arsenault are a brilliant creative partnership. 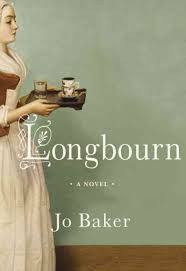 You finish this book with the feeling that you’ve read something different. Deeply captivating, Virginia Wolf is a unique work of art. Virginia Wolf is published by Kids Can Press. This entry was posted in Can-Con, Illustration, Picture Books and tagged depression, Illustration, Isabelle Arsenault, Kids Can Press, Kyo Maclear, picture book on August 23, 2012 by shelfelf.